← 14,000 Hiroshima Bombs PLUS Weapons Grade Plutonium Coming to City Near You. and I didn’t speak out because I wasn’t a trade-unionist. The situation for immigrants seeking political asylum in Greece is a total nightmare! 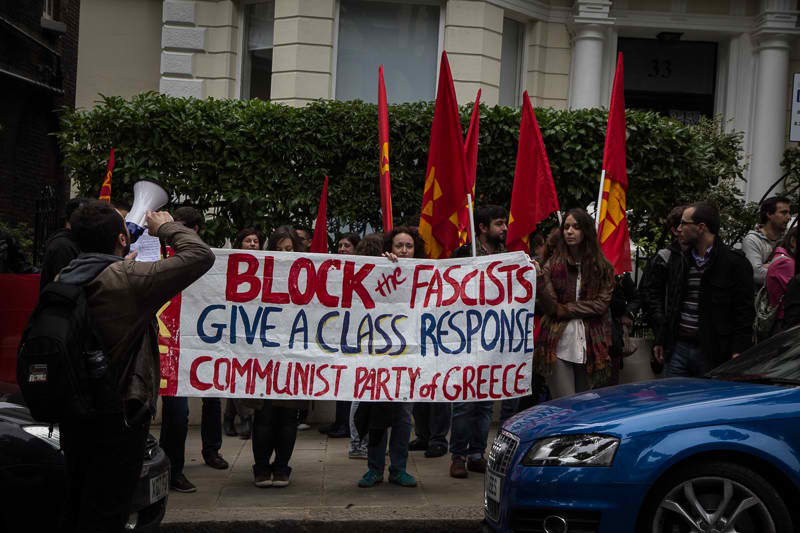 How they are treated is shocking considering that Greece is the birthplace of Democracy! “Golden Dawn” is a ‘neo-Nazi‘ party that seeks out immigrants to beat them mercilessly and terrorize any others who sympathize with the situation that these political asylum seekers are in while trapped in Greece. “Golden Dawn” wants these political asylum seekers out of Greece so they harrass and beat them. The problem is a result of the EU’s rules and regulation for asylum seekers that make Greece a port of entry to the EU so that they cannot proceed to eastern Europe easily. These immigrants are stuck in a country that can not afford to feed them. It is unacceptable for the disturbed psychopaths of ‘Golden Dawn” to be elected to the Greek Parliament, and exist anywhere in society including the police department. 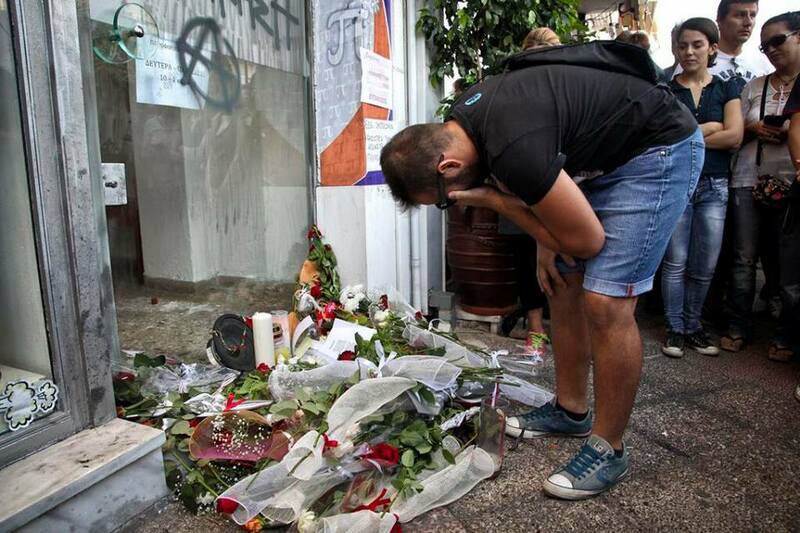 Not all Greeks agree with this treatment that the police inflict and Greek government condones. 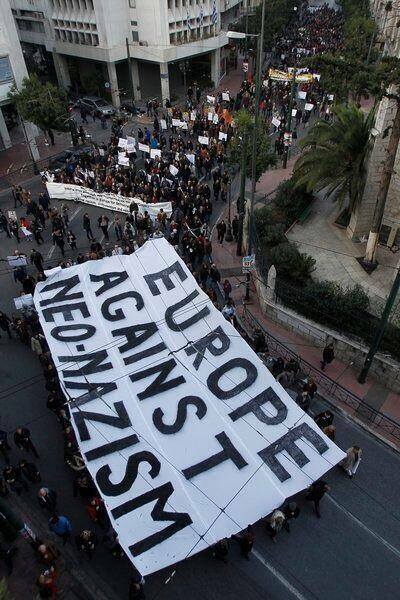 “GOLDEN DAWN” is trying to take over Greece and make it a fascist state! 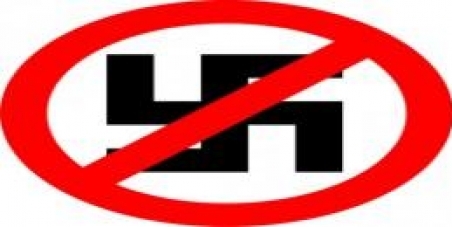 Posted on September 21, 2013, in Civil Rights, Human Rights and tagged "greek police", "Into the Fire", "Martin-Niemöller", "Political Asylum ", "victims of austerity", Avaaz, communist, European Union, fascism, fascists, Greece, immigrants, Jew, Jewists, trade-unionists. Bookmark the permalink. Leave a comment.